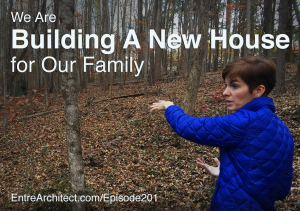 We’re building a new house for our family! I’m going to share our process and our progress with you – right here – at EntreArchitect Podcast. 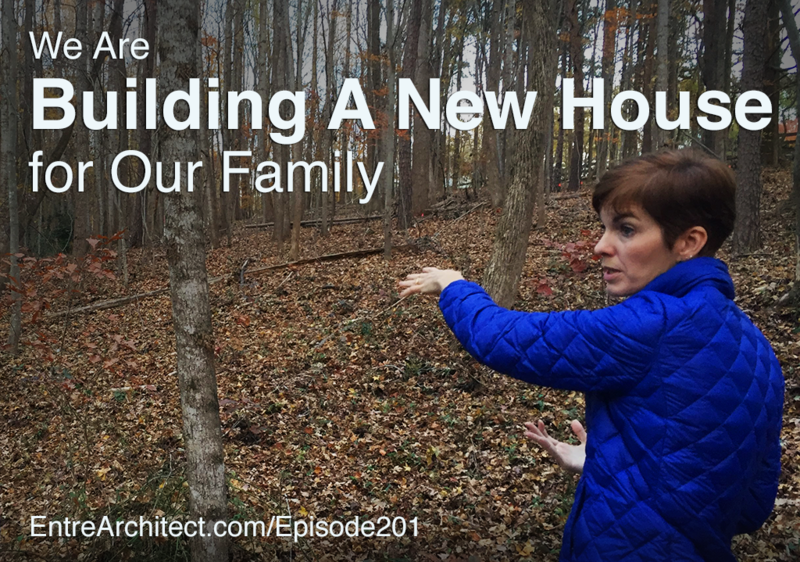 This week on EntreArchitect Podcast, We’re Building a New House! Last fall, Mark LePage and Annmarie McCarthy purchased a lot on a subdivision in Weddington, North Carolina. Mark and Annmarie are husband and wife, and also partners at Fivecat Studio in Westchester County, New York. About 20 years ago, several of their family coincidentally moved from the New York metro area to North Carolina, just outside the city of Charlotte. Both Mark and Annmarie’s parents still live in the New York metro area, and have been a huge part in helping them raise their children while they were building their careers. Being close to New York City allows their family the convenience of visiting as often as they choose, and provides a fantastic client base for their high-end residential architecture firm. There are many opportunities that living in Westchester county affords them. However, there are also opportunities that living in North Carolina would bring too. They would have business contacts, since both of Annmarie’s brothers are in construction, Mark’s older brother is a photographer, and his younger brother is a high-end residential real estate broker in the Lake Norman region just north of Charlotte. Over the years, they’ve gone through the list of pros and cons, and have found that the pros of staying in Westchester have always outweighed the cons. This past summer, something big changed. After almost fifty years of living it the house that Annmarie grew up in, Annmarie’s parents surprised everyone by buying a home in South Carolina and moving within 4 months. Though they wanted their kids to go to great schools and they wanted to be close to both sets of parents, they knew that with their kids growing up and family moving far away, they had more flexibility to make other decisions. When they were freed up to look at moving, they didn’t find any homes that met their requirements as architects! Most of what’s available is being built by mega-developers, which would be a hard transition from a cottage in the woods of upstate New York. 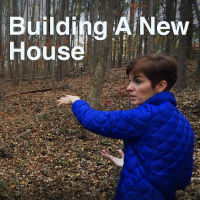 It’s time to build a new house! They found the perfect plot of land in one of the best school districts in the state of North Carolina. They’re going to make the move slowly, taking time to build and uproot their entire family, including allowing their oldest, James, the opportunity to finish his senior year in Westchester. There’s so much in store! Follow Mark’s personal Instagram @markrlepage to see the progress. Question: Have you built your own home? Share your story! WooHoo!!! How exciting! Can’t wait to follow along with this one! Congratulations. We built more than 10 years ago. The following year, I wrote this post (https://thinkarchitect.wordpress.com/2011/08/12/10-tips-to-build-affordable/). It has been the highest viewed blog post of mine ever and 5x more than the next most viewed. I guess it summarizes what we learned. Thanks for sharing this post Lee. I’ll keep you posted. Can’t wait to learn more about it! ‘Cliffwater’ – love it every day! Mark, how about come for a visit, would love to give you a tour and get together! I just want you to know that I am geeking out about this! I think I dream of building my own house on a lake more than I dream of starting my own architecture firm… ha ha! I will definitely be watching for drawings and photos! I’m so stoked for you guys! And I love that you are letting us share the experience with you. Maybe this will be the thing that finally gets Anne Marie to speak on the podcast! We shall see. Thanks for the encouragement. Congratulations. We built in Weddington more than 20 years ago. Welcome to the area (it’s a bit disjointed to call a city). Thanks for the welcome note Bob. Looking forward to becoming neighbors with you.